Time flies. I remember working on these stories and it doesn’t seem possible that it was so long ago. On the other hand, my mind is full of the stories I’m working on now, so I wasn’t even really thinking of them before I realized the anniversary of my publishing Isolation and Other Stories was coming up. I only noticed because I decided to poke around in my blog archives for the heck of it. Isolation and Other Stories contains my longest work to date. Most of my stories weigh in shy of 7500 words; I’m very much a short story writer. I have given thought to producing something at novel length. I have a couple of stories sitting partially completed that could probably work as novels. Some that I’ve produced in the past might be expanded to that length. The title story of this collection, in fact, could probably become a novel if I were so inclined. As Isolation stands, it is the longest thing I’ve ever written, at 20,000 words. (Down on the Farm, also in this collection, is the second longest at 18,000 words.) While I’m happy with the ending, it is one of those endings that looks forward to an uncertain future and invites the reader to think about what is possible. It leaves room for a continuation. Maybe I will, one day, sit down and write that continuation. But for now, I still have the feeling I had when I first sat down to write with the idea that I might produce a story that others would read. I have the feeling of a psychic backlog of ideas unvoiced. From grade school through my early twenties, I occasionally produced short stories for my own satisfaction. I had the creative urge, but did not think what I created could be worthy of the interest of others. After my early twenties I gave up on writing and let my creative urge express itself through the medium of role playing games. I like role playing games. I think they’re a worthwhile exercise in cooperative storytelling for most participants. But they weren’t ultimately satisfying to me, and I misused them as an escape from reality. I won’t say I’ll never participate in one again, but I have no plans to. It feels, to me, as if it would be too easy to use them to squander the hours and days I need for writing and for raising my children and for all of the other things in my life. That’s not a problem with the games; it is my problem with them. The writing is satisfying in a way the games never managed to be for me. And there is three decades, give or take, of creative pressure behind me, urging me to voice all those backed up story ideas. 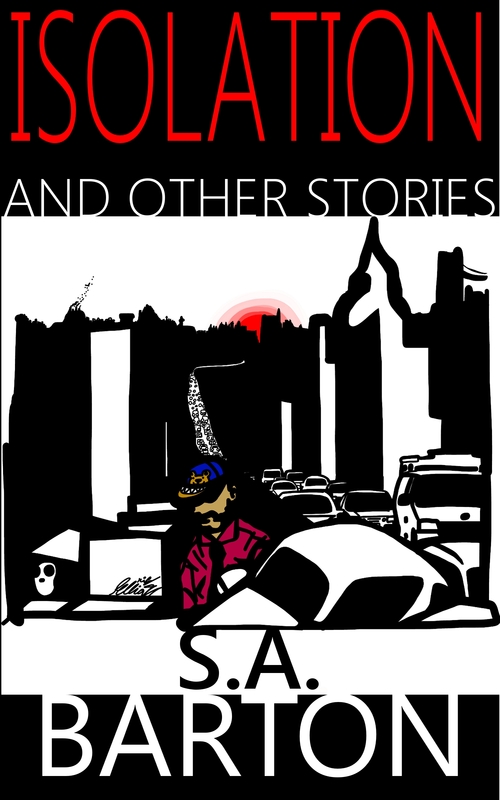 So I produce short stories, and I gather them into collections like Isolation and Other Stories once in a while. And I hope that others will read and enjoy. It is probably poor form for an author to have favorites, but this is my favorite collection so far. I think someone who has never read me before would be well served to start here; it feels like my best foot forward. It also doesn’t hurt that the cover art was contributed by my talented stepson, Erik Elliott. That gives it a certain sentimental element in my thoughts and feelings beyond my fondness for the stories. You can see the blurbs for all of the stories from clicking through here, on this sentence. The first five thousand words are previewed here, so you can enjoy a sample of Isolation. I hope you’ll enjoy reading this. I certainly enjoyed writing it for you. Bunny With A Saw: A Free Short-Short. My 57th Title via Smashwords.